Since the discovery of penicillin was reported in 1929 by Alexander Fleming, antibiotics (figure 1) have revolutionized medicine in the 20th century. These compounds are used to treat bacterial infections and are classified according to chemical structure, mechanism of action and spectrum of activity. 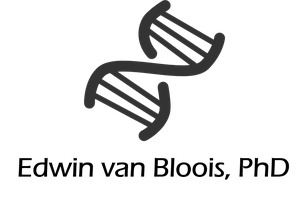 Antibiotics typically target bacterial cell wall biosynthesis, protein expression or the machinery of DNA replication (1). The efficacy of antibiotics is species-dependent and based on the sensitivity of the targeted bacteria, antibiotics are divided into narrow and broad spectrum. 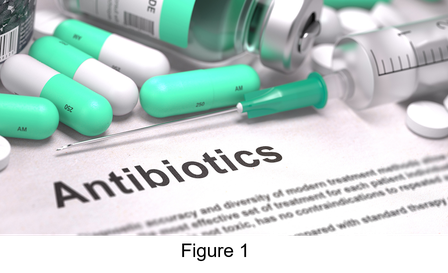 Narrow spectrum antibiotics are directed against specific types of bacteria such as gram-negative or gram-positive ones, while broad spectrum antibiotics affect a wide variety of bacteria. Tetracycline antibiotics, for example, are effective against many pathogens, including gram-negative and gram-positive bacteria. These were discovered in the 1940s as the first class of broad spectrum antibiotics and were subsequently patented in 1953. Tetracyclines were commercialized in 1978 and are still widely used in human and animal health. In fact, these antibiotics rank second in the global production and use with a worldwide sale of $1.6 billion in 2009 (2). Different classes of tetracyclines have been developed, ranging from the first generation that were produced by Streptomyces bacteria and the second generation that were obtained by chemical modification of naturally occurring tetracyclines to the third generation that are fully semisynthetic produced. The most recent generation is clinically important because it contains the most powerful antibiotics to treat complicated bacterial infections and, moreover, these are still effective against a variety of multi-drug resistance pathogens. Tetracyclines are polyketides that are typically produced as secondary metabolites by different Streptomyces bacteria. The core structure of all tetracyclines is a four-ring system and chemical modification of this scaffold results in the various tetracycline antibiotics that are in use today such as doxycycline and tigecycline. Recently, two novel tetracyclines – omdacycline and eravacycline – were developed, which are currently evaluated in phase III clinical trials (3). Tetracycline antibiotics work by inhibiting protein synthesis through binding to the 16S rRNA of the small ribosomal subunit, preventing attachment of aminoacyl-tRNAs at the acceptor site. Resistance to tetracycline is well documented and occurs through a number of mechanisms with efflux of tetracycline from the cell and ribosomal protection as most prominent (4). However, emerging new resistance mechanisms include enzymatic degradation by a family of enzymes, tetracycline destructases, that have been found in pathogenic and non-pathogenic bacteria (3). These are flavin-containing monooxygenases that catalyze the NADPH-dependent oxidation of tetracycline antibiotics, ultimately resulting in degradation of the scaffold structure. 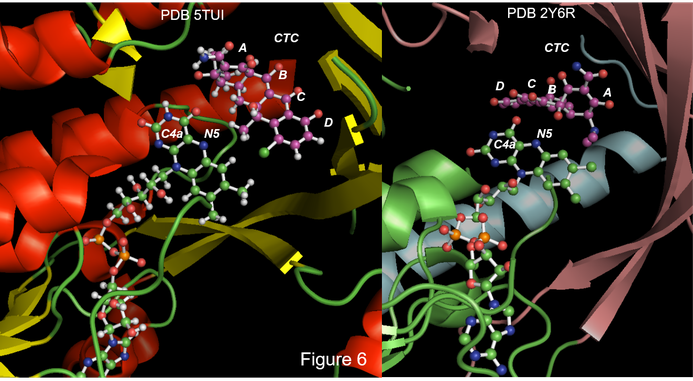 Recently, several structures of tetracycline destructases have been presented, illuminating how these enzymes accommodate tetracyclines and inhibitors as well as the mechanism by which FAD is employed to drive tetracycline degradation (5). Here, I will discuss the biochemical and structural features of these emerging tetracycline resistance enzymes. Tetracyclines are a large group of broad-spectrum of antibiotics that are effective against a broad range of gram-negative and gram-positive bacteria as well as other microbes such as mycoplasmas, chlamydiae, rickettsiae and protozoan parasites (6). These antibiotics inhibit protein synthesis by preventing binding of aminoacyl-tRNAs at the acceptor site through association with the 16S rRNA of the small ribosomal subunit (1). Tetracyclines are polyketides that are typically produced as secondary metabolites by different Streptomyces bacteria. For example, the first tetracyclines (chlorotetracycline and oxytetracline) were isolated in the 1940s from Streptomyces aureofaciens and Streptomyces rimosus, respectively (6), while Streptomyces bacteria remain an important source for the discovery of additional tetracycline antibiotics. Tetracycline was patented in 1953 by Pfizer and commercial tetracycline preparations became available in 1978. Despite their discovery in the 1940s, tetracyclines are still widely used in human and animal health. In fact, these antibiotics rank second in the global production and use with a worldwide sale of $1.6 billion in 2009 (2). Tetracycline antibiotics are made up of a linear four-ring nucleus with the rings labeled A-D (figure 2 upper panel adapted from 4) to which a variety of functional groups are attached. The various tetracyclines are typically obtained by chemical modification of the core structure. In this respect it is interesting to note that the antibiotic properties are to a large extend maintained by chemical modification of the top of the core structure, while the functional properties are lost by substitution of the bottom of the four-ring system. 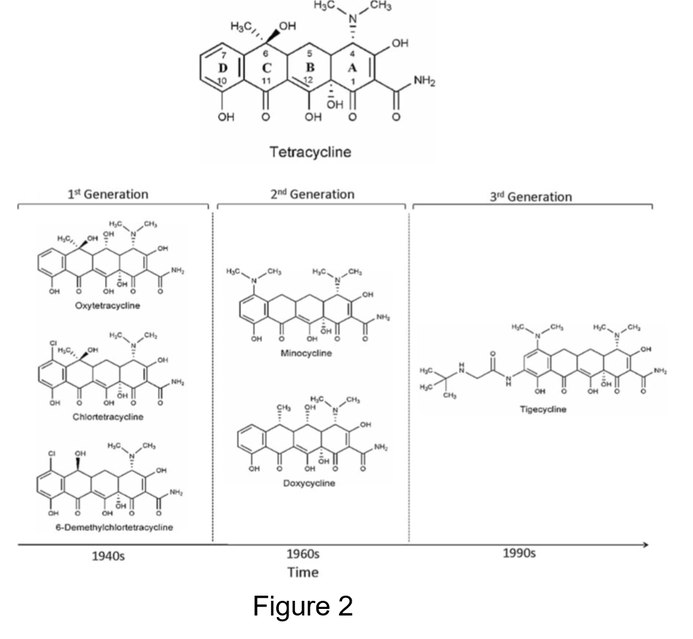 The evolution of tetracycline antibiotics is shown in the bottom panel of figure 2. Although the initial tetracyclines (first generation) such as oxytetracylin and chlorotetracyclin were produced by Streptomyces bacteria, other tetracyclines (second generation) were obtained later typically by chemical modification of naturally occurring tetracyclines. These semisynthetic tetracyclines include minocycline and doxycycline. To improve pharmacological properties as well as insensitivity to common resistance mechanisms, another fully semisynthetic set of tetracyclines was produced in the 1990s (6). These comprise the third generation of tetracyclic antibiotics and include tigecycline, which was approved by the FDA in 2005, as well as omdacycline and eravacycline. The latter two are currently evaluated in phase III clinical trials (3). Resistance to tetracyclines was first reported in 1953 shortly after their introduction, which increased rapidly in many bacterial species in the years thereafter. Several tetracycline resistance mechanisms have now been identified with active efflux from the cell and ribosomal protection as clinically the most important ones (4). However, new resistance mechanisms are emerging such as enzymatic degradation by a family of enzymes known as tetracycline destructases. These have been found in pathogenic and non-pathogenic bacteria and are described in more detail below. In 1984, it was shown that a plasmid from Bacteroides fragilis encoding drug resistance determinants could be successfully expressed in E. coli, thereby conferring tetracycline resistance to the latter organism (7). Based on this finding a resistance mechanism based on the enzymatic degradation of tetracycline antibiotics was proposed for the first time. Subsequent analysis of this plasmid revealed a gene, tetX, encoding a potential tetracycline-degrading enzyme of 43 kDa (8). Using the recombinant protein, it was confirmed that TetX catalyzes the breakdown of tetracyclines, including first, second and third generation tetracycline antibiotics. Recently, structures of TetX in complex with FAD and different tetracycline antibiotics were reported (10). The structure of TetX with chlortetracycline at 3.1 Å is shown in the left panel of figure 3 with FAD as yellow ball and sticks and chlortetracycline as blue ball and sticks, respectively. Overall, the enzyme is made up of an FAD-binding domain (shown in green) and a tetracycline-binding domain (in pink). The association between the domains is stabilized by a C-terminal helix (in green) that spans both domains. FAD is bound non-covalently. Database searches with the structure of TetX showed that the enzyme is a member of the family of FAD-dependent aromatic hydroxylases. This is a large group of related flavin-dependent monooxygenases that require NADPH as electron source and oxygen to catalyze the hydroxylation of aromatic substrates. Therefore, TetX represents the founding member of the family of tetracycline destructases and in 2015, nine additional tetracycline-inactivating enzymes were described (11). The genes encoding these enzymes were discovered through a metagenomic approach in soil samples and represent a novel set of flavin-dependent monooxygenases (Tet47-55) that are not related to known antibiotic resistance conferring genes. Analysis of the purified recombinant enzymes confirmed their ability to inactivate tetracycline and pointed towards diverse and in part novel oxidative mechanisms. Furthermore, a homologous enzyme (Tet56) was discovered in a pathogenic Legionella strain that inactivates tetracycline when expressed in E. coli. To increase the understanding of the newly identified tetracycline-inactivating enzymes, the structure of four of these enzymes (Tet50, Tet51, Tet55 and Tet56) was solved by X-ray crystallography (12). The structure of Tet51 (5TUK) and Tet50 (5TUI) with FAD is shown in figure 3, which were determined at 1.85 and 1.75Å, respectively. Structurally, these enzymes adopt a similar overall fold, comprising an FAD-binding domain (shown in blue for Tet51 and magenta for Tet50), a tetracycline-binding domain (shown in red for Tet51 and orange for Tet50) and a C-terminal helix that spans both domains (shown in orange for Tet51 and green for Tet50). All of these enzymes contain an additional short helix at the C-terminus (in green for Tet51 and cyan for Tet50) that is not immediately obvious from their primary structure and is not present in TetX. This helix probably contributes to the formation of the substrate-access channel as it is in close proximity to chlortetracycline (shown in blue ball and sticks) in Tet50. In all structures, FAD is shown as yellow ball and sticks and in non-covalently bound. Remarkably, the protomers of Tet50 contain an FAD cofactor that is oriented differently (figure 4). 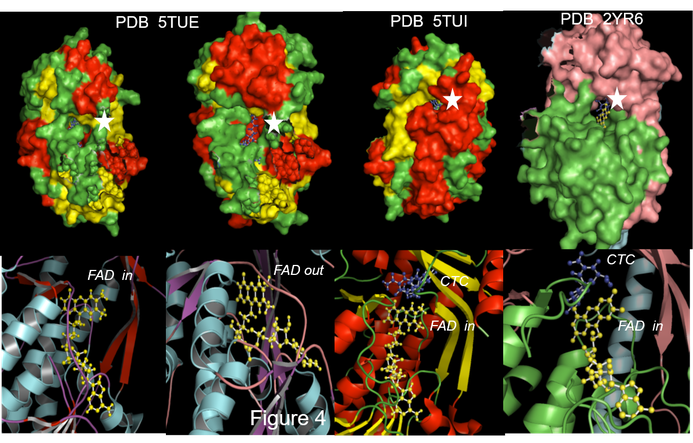 In protomer A (bottom left panel), FAD (in yellow ball and sticks) is pointed towards the tetracycline-binding domain (FAD in), while in protomer B (bottom center left panel) FAD is pointed away from the tetracycline-binding domain (FAD out). In the chlortetracycline-bound structure of Tet50 (bottom center right panel), FAD is directed towards the substrate (shown in blue ball and sticks). Likewise, FAD also points towards the substrate in the structure of TetX (bottom right panel) in complex with chlortetracycline (shown in blue ball and sticks). Conceivably, substrate binding triggers a reorientation of FAD towards a catalytically competent configuration with the business end of the flavin ring, N5 and C4a, in close proximity to the substrate. Moreover, a large tunnel is present in Tet50 and TetX (indicated with a star in the top panel of figure 4) that runs from the surface of the tetracycline binding domain towards the FAD buried inside the enzyme, thus effectively connecting the bulk solvent and active site. Most likely, this channel comprises a substrate-loading channel, which provides access to the active site. In Tet50, closing of the substrate-loading channel appears to be controlled by the orientation of FAD because an open channel is not observed in protomer A (upper right panel), whereas an open channel is present in protomer B (top center left panel). Likewise, a closed channel is observed in the structure of Tet50 bound to chlortetracycline (in blue ball and sticks). In all structures, FAD is shown in yellow ball and sticks. It is therefore tempting to speculate that reorientation of FAD from the out to the closed configuration following substrate binding closes the channel, while, after substrate oxidation, FAD swings out thereby opening the substrate-loading channel for product release and positioning the oxidized cofactor for reduction by NADPH. Additionally, the short C-terminal helix (figure 1) contributes to closing of the channel as well and serves therefore as gatekeeper. Anhydrotetracycline is an intermediate in the tetracycline biosynthesis and is a poor substrate for TetX. This indicates that tetracycline-inactivating enzymes are able to bind this compound, while it was recently shown that anhydrotetracycline inhibits tetracycline destructases, including TetX, Tet50, Tet51, Tet55 and Tet56 (11). To increase the mechanistic insight of anhydrotetracycline-mediated inhibition of these enzymes, the structure of Tet50 in complex with anhydrotetracycline was solved at 2.25 Å (11). This structure is shown in figure 5 and reveals that binding of anhydrotetracycline does not affect the overall architecture of the enzyme (right panel with anhydrotetracycline in orange ball and sticks and FAD in yellow ball and sticks). A close up of the active site is provided in the center panel and shows that anhydrotetracycline (AHTC) is located deeper in the tetracycline-binding domain and pushes the FAD out and thereby orienting the gatekeeper helix in such a way that the substrate loading channel is open (right panel with substrate loading channel indicated by a star). This anhydrotetracycline-stabilized Tet50 configuration probably represents a catalytically incompetent conformation and therefore anhydrotetracycline is a mechanistic inhibitor of tetracycline-inactivating enzymes that also competitively blocks substrate binding. The mechanism of monooxygenases is based on the redox properties of FAD. After reduction by NADPH to FADH2, molecular oxygen is bound at C4a of the isoallxazine ring, thereby forming a hyderoperoxide that ultimately hydroxylates the substrate. Rotation of FAD towards the substrate is therefore important to bring C4a in close contact with the substrate for subsequent hydroxylation. The structure of Tet50 with chlortetracycline reveals that the substrate is located above FAD with C1 of the A ring of the substrate is poised for hydroxylation (left panel of figure 6). In addition to oxidation of the A ring, other oxidative spots in the B and D rings have also been identified. These product mixtures typically arise because of active site flexibility, allowing accommodation of substrate in different orientations and the oxidative spot that is closest to the flavin C4a will be oxidized. In TetX, the substrate is located above the cofactor with C11 of the C ring is closest to C4a of the isoalloxazine ring and is therefore the preferred hydroxylation site (right panel of figure 6). The TetX catalyzed hydroxylation of chlortetracycline is schematically shown in the top panel of figure 7 (adapted from 10). Similar to Tet50, TetX is able to oxidize tetracycline antibiotics at different sites due to active site flexibility and the oxidative site that is closest to the flavin C4a will be oxidized. Regioselective hydroxylation of tetracycline antibiotics by tetracycline destructases probably destabilizes the hydroxylated products, resulting in their non-enzymatic degradation. This, in turn, yields complex degradation profiles comprising different poorly characterized products. Based on the available evidence, a model for the tetracycline destructase catalytic cycle was proposed, which is shown in the bottom panel of figure 7 (adapted from 3). Step i represents oxidized FAD with open active site, ii is binding of substrate with oxidized FAD and open active site, iii is substrate bound with reduced FAD and open active site, iv is substrate bound with peroxy flavin in in configuration and closed active site, v is oxidized product bound with peroxy flavin in in configuration and closed active site and v is substrate bound with peroxy flavin in out configuration and open active site. Tetracycline antibiotics were first isolated in the late 1940s from different Streptomyces bacteria and are typically produced during secondary metabolism. Since their discovery, tetracyclines have remained important drugs to combat bacterial infections in human and animal health. This is mainly because these compounds are broad-spectrum antibiotics, meaning that they are effective against a wide range of gram-negative and gram-positive bacteria as well as other microbes such as mycoplasmas, chlamydiae, rickettsiae and protozoan parasites (6). Different classes of tetra cyclins have been developed over the last decades mainly to improve pharmacological properties. This ranges from the first generation that were produced by Streptomyces bacteria and the second generation that were obtained by chemical modification of naturally occurring tetracyclines to the third generation that are fully semisynthetic produced. This latter class of tetracyclines is clinically important because it contains the most powerful antibiotics to treat complicated bacterial infections and, moreover, these are still effective against a variety of multi-drug resistance pathogens and are therefore crucial as last line of defense. It is well established that tetracyclines work by inhibiting protein synthesis by preventing binding of aminoacyl-tRNAs at the acceptor site through association with the 16S rRNA of the small ribosomal subunit (1). Resistance to tetracyclines was first reported in 1953. Several tetracycline resistance mechanisms have now been identified with active efflux from the cell and ribosomal protection as clinically the most important ones (4). However, new resistance mechanisms are emerging such as enzymatic degradation by a family of enzymes known as tetracycline destructases. These have been found in pathogenic and non-pathogenic bacteria and are active against all known tetracyclines, including crucial third generation antibiotics. These are flavin-containing monooxygenases that catalyze the NADPH-dependent oxidation of tetracycline antibiotics, ultimately resulting in degradation of the scaffold structure. TetX represents the best characterized member of the family of tetracycline-inactivating enzymes. However, nine additional tetracycline-inactivating enzymes were discovered recently and functionally and structurally characterized (5,11). 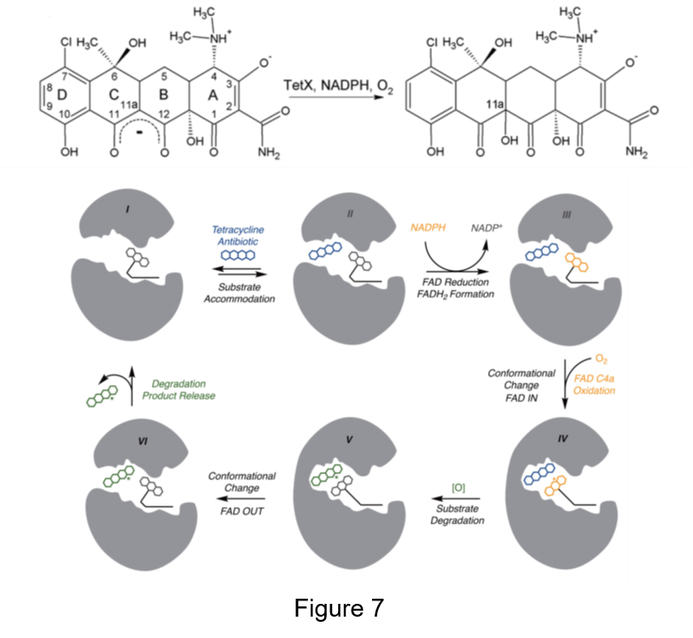 This greatly improved the mechanistic understanding of these enzymes and provided novel leads for the design of inhibitors to target emerging tetracycline resistance. However, important biochemical questions about the precise catalytic cycle of tetracycline destructases are still unanswered, although several interesting activities such as baeyer villiger monooxygenase activity were proposed based on partial characterization of degradation products. 1. Kohanski MA, Dwyer DJ, Collins JJ. 2010. How antibiotics kill bacteria: from targets to networks. Nat Rev Microbiol. 8: 423-35. 2. Hamad B. 2010. The antibiotics market. Nat Rev Drug Discov. 9: 675-676. 3. Markley JL, Wencewicz TA. 2018. Tetracycline-Inactivating Enzymes. Front Microbiol. 9:1058. 4. Thaker M, Spanogiannopoulos P, Wright GD. 2010. The tetracycline resistome. Cell Mol Life Sci. 67: 419-431. 5. Park J, Gasparrini AJ, Reck MR, Symister CT, Elliott JL, Vogel JP, Wencewicz TA, Dantas G, Tolia NH. 2017. Plasticity, dynamics, and inhibition of emerging tetracycline resistance enzymes. Nat Chem Biol. 2017 7: 730-736. 7. Guiney DG Jr, Hasegawa P, Davis CE. 1984. Expression in Escherichia coli of cryptic tetracycline resistance genes from bacteroides R plasmids. Plasmid. 11: 248-252. 8. Park BH, Levy SB. 1988. The cryptic tetracycline resistance determinant on Tn4400 mediates tetracycline degradation as well as tetracycline efflux. Antimicrob Agents Chemother. 32: 1797-1800. 9. Yang W, Moore IF, Koteva KP, Bareich DC, Hughes DW, Wright GD. 2004. TetX is a flavin-dependent monooxygenase conferring resistance to tetracycline antibiotics. J Biol Chem. 279: 52346-52352. 10. Volkers G, Palm GJ, Weiss MS, Wright GD, Hinrichs W. 2011. Structural basis for a new tetracycline resistance mechanism relying on the TetX monooxygenase. FEBS Lett. 585: 1061-1066. 11. Forsberg KJ, Patel S, Wencewicz TA, Dantas G. 2015. The Tetracycline Destructases: A Novel Family of Tetracycline-Inactivating Enzymes. Chem Biol. 22: 888-897. 12. Park J, Gasparrini AJ, Reck MR, Symister CT, Elliott JL, Vogel JP, Wencewicz TA, Dantas G, Tolia NH. 2017. Plasticity, dynamics, and inhibition of emerging tetracycline resistance enzymes. Nat Chem Biol. 13: 730-736.